federal tax credits and offer more great tips, as well! On December 31, the legislation that gives homeowners a federal tax credit expires so be sure to go out and purchase any energy efficient windows, water heaters, air conditioners, heat pumps and insulation before then. 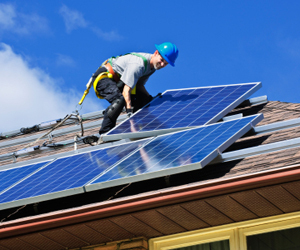 Many cities and states also offer tax credits to homeowners who make energy-efficient home improvements, such as dual-paned windows, solar-powered systems and tankless water heaters. Just like the federal tax credit, you don’t need have everything installed, but you do need to make the purchase before the year ends and let Uncle Sam finance your future energy savings. These upgrades can make your home both look and feel better, but also save you on month–to-month upkeep and, if you are considering upgrades for putting your home on the market in 2014, can add to your curb appeal. After all, homebuyers love saving money and will value your investment to help them decrease energy costs. Best of all, upgrading now rather than waiting means you get to enjoy the savings, too! Five Real Estate Tax Tips You Should Know Before 2014” has many more ways you can save on your 2014 taxes, but you better act fast! The Equifax Finance Blog has more information about how to go green and save green, as well as key information on credit scores, retirement planning, budget balancing and much more. This entry was posted in Energy Efficient, Featured, Green News, News and tagged equifax finance blog, going green, tax incentives on December 26, 2013 by Carol Morgan. According to the latest Profile of Homebuyers and Sellers from the National Association of Realtors, homebuyers are thinking green when it comes to their new home purchase decision. This year’s top priorities for those purchasing a new home included heating and cooling costs, energy-efficient appliances and energy-efficient lighting. Atlanta home builder Smith Douglas Communities has developed building practices that maximize energy performance for all of its homes. Green features of the builder’s metro Atlanta homes include two-zoned HVAC systems with thermostats for each floor (in two-story homes), low E windows, house wrap, steel insulated high efficiency front and rear doors, 50 gallon electric water heaters and high efficiency insulation. In addition to building green, Smith Douglas also offers award-winning floor plans designed to meet the needs of today’s buyer. Each home is loaded with features and finishes such as granite countertops and vaulted ceilings in the bedrooms, while also offering buyers the opportunity to customize the plan to include additional layout options. Plus, each Smith Douglas home comes with a 2-10 Home Buyer’s Warranty for added peace of mind. With more than five communities of Canton and Woodstock GA homes in Cherokee County and another 13 communities of metro Atlanta homes in Forsyth, Gwinnett, Henry and Paulding Counties, homebuyers are sure to find a location convenient to where they live, work and play, an additional key factor among buying decisions. 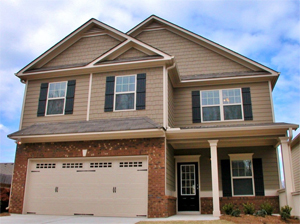 To learn more about Smith Douglas’ new homes and communities, call 770-485-7086. This entry was posted in Energy Efficient, Green Design Trends, Green News, News and tagged atlanta home builder, energy efficiency, Smith Douglas Communities on December 24, 2013 by Carol Morgan.